The Fluffiest, Softest, Slime EVER! 1. Mix 1 cup warm water with 1 tsp of Borax in a paper cup and stir until it has completely dissolved. (Very important to stir until dissolved!) Set aside. 2. 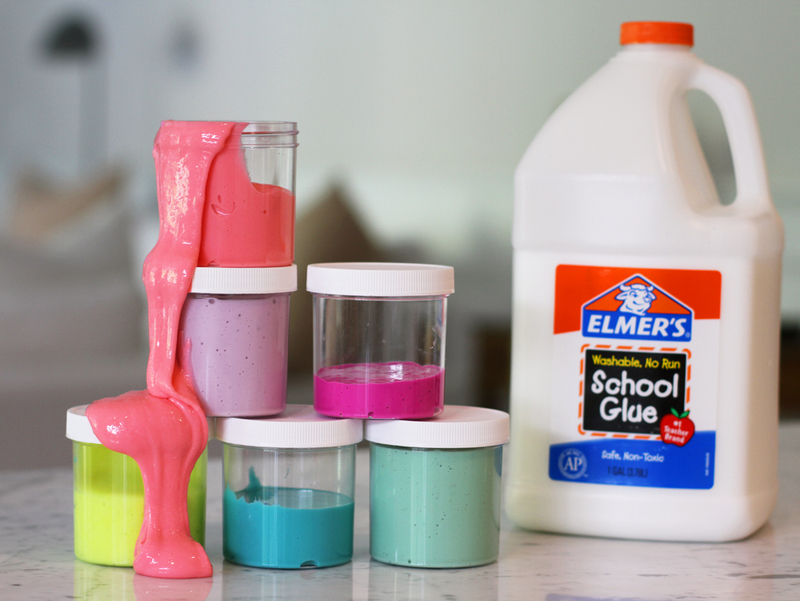 Add 1/2 cup Elmer's white glue to a bowl. 3. Add 1/2 cup shaving cream to the bowl. 5. Add 1 tablespoon of corn starch and a couple drops of food coloring and mix together with a plastic spoon. 6. Once everything is completely mixed, add 1 spoonful of the Borax mixture at a time while stirring at the same time. It is important not to add too much or your slime will be super tough. Add about 4 small spoonfuls and mix. Then add one more at a time until the slime is not sticky. It should only take about 9 spoonfuls and then squish it with your hands until it's pliable.